Big things in the works! The upcoming project by Supa Syfy, dubbed "Kings Of Everything" has already started production in the studio. This new album will boast an altogether different sound by Supa Syfy with witty lyrics, sleek production, and loads of features. The album is scheduled to be released 3.2.18. Rumors have it that this new project will boast unseen manufacturing in a release to date. With innovation via the research & development team at Mindset Music Group, we will be bringing you with a brand new concept never seen before in an official release. Be prepared, this will be awesome! Rumor has it that there may be an EP in the works by Supa to be released between December & February. We have yet to confirm the project, however, there has been an overflow of music that was redone with new production from various producers like Legion Beats, Vibe, and Johnny Juliano. Fans may be blessed with a new release in the near future before Kings Of Everything is debut to release. Be on the look out this December as we kick off a slew of material for the Diamonds In Digital album as well as the Space Jam official tour dates.This coming year will be an exciting one for MEGI & Khaotic Music. ​As the world premiere edges closer, the world anticipates the coming of this hot new television series. 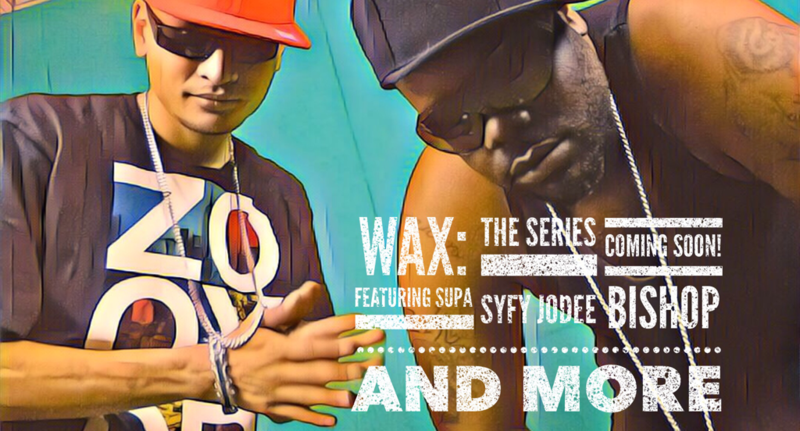 With a gripping storyline, WAX: The Series is sure to have you glued to your box as you journey through the lives of the entertainers. Preview clips, images, and material on Facebook and follow upcoming releases. Newly created TV Box Pictures has signed production contracts to lead in the story and design of the series. We are proud to have TV Box aboard and hope to bring you the best new series on television soon! Diamonds In Digital has been released! This much anticipated album has already garnished massive buzz. Now available for purchase and streaming on your every day device. The world currently awaits the much anticipated Jodee Bishop's 3rd album Dope-I-Mean album 2. Featuring a splash of new features, and a sound parallel to the greats before him, this upcoming release is sure to please the masses. Dope-I-Mean brings to you solid hits with no bars held. Similar to volume 1, Jodee Bishop returns to his signature sound found on his numerous early releases. Spring Breaking All The Rules Tour has been approved by the board and has entered production stage. One of the hottest tours to go down in 2018.